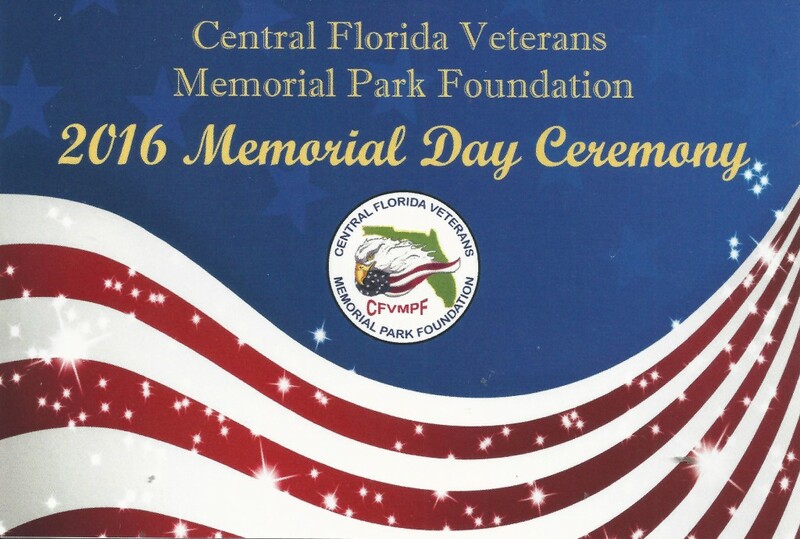 The Central Florida Veterans Memorial Park Foundation, Inc. will add six additional names to the 1,100 names of the Fallen at the Memorial. The program will begin at 2 PM on Memorial Day with LTG Benjamin “Randy” Mixon, USA (ret) as keynote speaker. The Memorial is located adjacent to the new VA Medical Center at Lake Nona. Access is through the front gate of the VA Medical Center. This entry was posted on Thursday, May 26th, 2016 at 8:24 pm	and is filed under Uncategorized. You can follow any responses to this entry through the RSS 2.0 feed. Responses are currently closed, but you can trackback from your own site.